The greeting cards are simply something received, enjoyed, and discarded. However, we have a unique perspective and look at the product very differently. 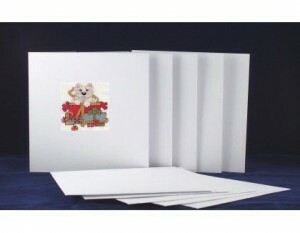 We add our hand cross-stitched patterns and mounted on the greeting cards. The greeting cards are truly unique and personal with a Birthday Theme. The aesthetic value of the design and the overall sentiment expressed will inspire a person to be attracted to the greeting card. Next time you receive a personal or business greeting card, look closely at it.